Let’s face it. Over the last 30 years, when a democrat is elected president, the environmental community tends to let out a sigh of relief and cheer the appointment of a conservation-minded Secretary of the Interior. Aggies and industry, meanwhile, prepare to hunker down and fight against more endangered species listings and greater restrictions on public lands. When a republican is elected president, enviros dust off their armor and prepare for battle against the likes of James Watt and Manuel Lujan – two former Interior secretaries known for their anti-environmental, anti-ESA agendas – while farmers and energy industry staff anxiously await the promised freedom of relaxed regulatory burdens. Appointees on both sides take office prepared to undo the so-called “overreach” of the previous administration. But the new appointees often overreach themselves, resulting in years of lawsuits and delays in achieving their ideological master plan. Lawyers prosper, but it’s not clear that anyone else does. Meanwhile, the environment continues to suffer. We’re in that season again now as we wait for the President-elect to name his Secretary of the Interior, the person responsible for the care of our treasured natural heritage. The environmental community expects the worst and is already preparing to launch defensive campaigns in the media and in the courts. If President-elect Trump plans to open federal lands to more oil and gas drilling while also protecting wild places for hunters and anglers, he will need an Interior Secretary that’s equipped with a robust mitigation plan. But imagine if the incoming president decided to avoid the wild pendulum swings that characterize land and wildlife policy in America and appoint a candidate that would seek to find a sustainable balance of environmental protection and economic prosperity. 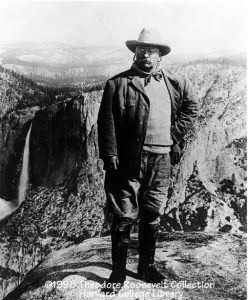 Given Trump’s promise on Tuesday to honor “the legacy of Theodore Roosevelt … one of our great environmentalists,” here are three things I am looking for in our next Interior Secretary that can help the President-elect make good on his promise. The recent legacy of the Interior Department under the Obama administration was one of balance and cooperation. Some of the biggest successes of Secretary Sally Jewell’s tenure have included multi-state, bi-partisan, public-private efforts that brought everyone from Nevada ranchers to wildlife biologists together to make conservation history and keep the greater sage-grouse off the Endangered Species List. 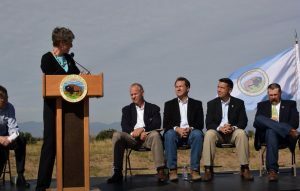 When the decision was made to avoid listing the sage-grouse, an icon of the American West, two democratic governors and two republican governors were on the podium praising the collaborative effort made across 11 states and in partnership with the federal government. No one got everything they asked for, and some pain was shared by all parties at the end of the day, but the multi-year, multi-stakeholder, multi-hundred-million-dollar effort serves as a model for how the incoming administration might change the pendulum-like pattern of the last 30 years. In fact, President-elect Trump would do well to look at any of the governors who were on that podium as potential Secretaries of the Interior. The cooperative conservation effort to protect the greater sage-grouse is a good place for the incoming secretary to start. That effort included strong regional mitigation planning with the Bureau of Land Management to ensure that impacts to grouse habitat on federal lands are offset with improved habitat elsewhere. Earlier this month, the State of Nevada made a second wave of funding available to landowners who protect habitat for greater sage-grouse on their property. The additional funds mark $2 million through the state’s market-based program. This offset requirement is already creating a new market opportunity for ranchers willing to protect sage-grouse habitat on their lands, with millions of dollars flowing to landowners’ pockets in places like Nevada. 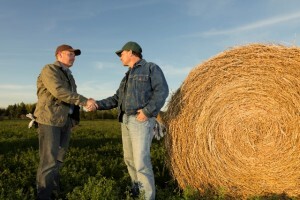 Mitigation done right doesn’t have to be a burden on the economy. It can be a big boost. In the last eight years, the number of conservation tools available to manage our air, water and wildlife has increased twofold. Among them are some innovative approaches that deploy the markets to drive the most impact on the ground for each dollar invested. There are new solutions like mitigation banks and habitat exchanges that allow dollars to flow quickly and efficiently into projects on the ground, with improved accounting, reporting and monitoring to ensure positive outcomes. The best part? The land can continue to be productive – to provide the food, fuel and fiber that our nation’s people need, and that drive local economies across the country. Case in point: Newmont Mining Corp. is one of the first credit producers through Nevada’s market-based program. With new tools, strong standards and a cooperative mindset, I believe our next Interior Secretary can help President-elect Trump meet his goals of conserving and protecting our natural resources for the next generation. Now it’s up to Trump to make his pick. This entry was posted in ecosystems, Habitat Exchange, Partnerships, Wildlife Protection and tagged conservation, donald trump, environmental defense fund, habitat exchanges, Interior, Interior department, interior secretary, legacy, mitigation, newmont mining corporation, president-elect, sage grouse, theodore roosevelt, western governors. Bookmark the permalink. Both comments and trackbacks are currently closed.